North Texas nurseries are getting ready for a busy weekend. 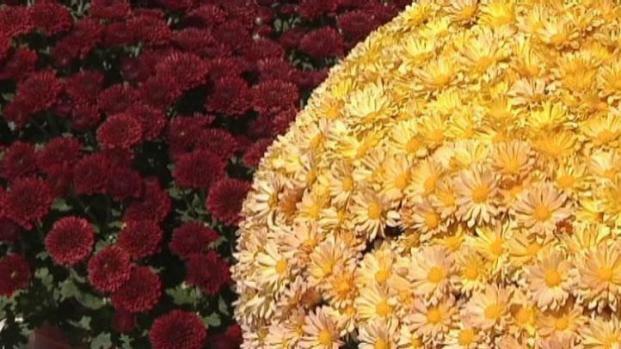 The cooler fall weather is driving people outdoors to spruce up their yards, and plant experts say now is a good time to plant. Ginsy Christman has patiently been waiting for the right time to give her lawn a makeover. "I came in to the nursery to say hello to my tree that I bought about three weeks ago," she said. Cooler fall weather is driving people outdoors to spruce up their yards, and fall is prime time for planting. "People are sick of the brown," said Kathleen Soderlund, an employee at Meador Nursery. "There are people who are replacing trees. They are migrating towards more drought- tolerant plants. A lot of people want color." Soderlund said it is prime time for fall planting. This comes after a brutal summer that wiped out yards across the region. "Anything that was not established -- and that could have been things that weren't planted more than five years ago -- suffered," Soderlund said. "A lot of people lost things that are normally sun loving and drought tolerant. It was a costly event." As the weather changes, North Texans say they are anxious to bring new life to their lawns. "Two or three weeks ago, there was no water in the ground, but now there is," Christman said. But experts say people shouldn't let the recent rainfall fool them. Plants need extra attention and extra water this fall and winter. "We are still officially in a drought, so be mindful of that," Soderlund said. "If it doesn't rain, we still need to hydrate our plants."